PyCon JP 2018 is going to be held between Sep 15 and 18. In order to warm up for the annual big Python event, We, Start Python Club will have a joint meetup with MUFG, "Python Global Meetup". In this meetup, we are going to have a panel discussion by prominent core Python developers including Marc-André Lemburg, the chair of EuroPython Society who dedicated to the several important Python projects such as Unicode character processing. 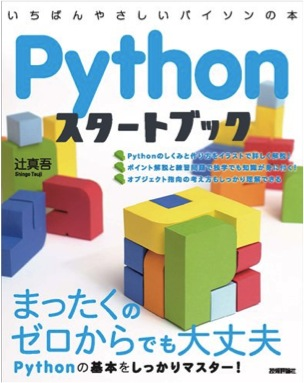 Furthermore, we've invited prominent core contributors from Japan to enhance the Python talks. The discussion will cover several topics such as the early days of Python in 90's, history & transformation, the hottest technical areas and so on. We are looking forward to having an enthusiastic event with free and bidirectional discussion between speakers and audience. Please join our hot meetup since it will be a great opportunity to establish friendship among global Pythonistas. Of course, we'll have a get-together party after talk session. And you can join for free! All the Python enthusiasts, come on to this meetup! Note: Do not register as "Staff/Speaker" if you are not. Marc-André Lemburg is the IT Head of Point Nine Limited and the CEO of eGenix.com. He graduated from University of Dusseldorf, Germany. He used to be the director of Python Software Foundation in the period of 2002-2004 and 2010-2016. Since 2016, he has been the chair of Euro Python Society. Pavlos Christoforou is the CEO of Point Nine Limited. He received B.S. degree from Imperial College London and M.S. degree from Stony Brook University. In 2002, he founded Point Nine Limited in Cyprus, where is his home country. Point Nine Limited is an industry leader in post-trade processing and regulatory reporting. Founded in 2002, Point Nine Limited currently offers technology and managed services to more than 70 customers across the globe including Hedge Funds, Asset Managers, Brokers and Banks. MUFG Investor Services announced an exclusive partnership with Point Nine Limited in Februay 2018. Takeshi Akutsu published 【Stapy x MUFG共催!】Pythonグローバルミートアップ（同時通訳あり）. I joined 【Stapy x MUFG共催!】Pythonグローバルミートアップ（同時通訳あり）!